Help reduce the amount of bacteria that stays on the tooth surface. Water fluoridation is a common practice in U.S. public water systems. However, bottled water, home treatment systems, and private well water may not be fluoridated. The use of fluoride toothpaste and mouthwashes and a diet that includes foods with natural fluoride may be sufficient. 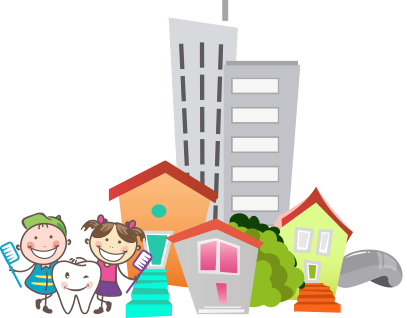 Your Pediatric Dentist in Chicago, Dr. Spatz will evaluate your child’s dental health and offer fluoride treatments in our office if needed.